Computer Science for Fun - cs4fn: Do you remember the birth of the memristor? Do you remember the birth of the memristor? Electronics! It’s all been done long ago, hasn’t it? 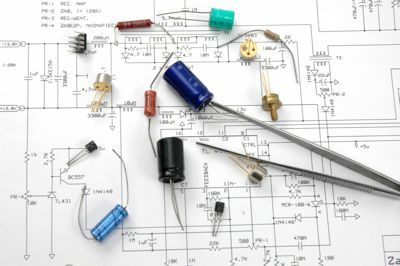 Resistors, transistors, capacitors, and inductors: all invented. See. Done it, filled in the worksheet, nothing else to discover...but did you miss the birth of the memristor? In 2008 a new member of the electronics family was born. It had been discussed in theory as the missing link. It was mathematically possible, but never actually built till electronic engineers at Hewlett Packard used nanotechnology to bring it into existence. Memristors are resistors with memory. Doh! Clever name! It can work as a data store, being either off or on, but it can store this information without any power too. This ability to store binary data (1s and 0s) with no drain on a battery, combined with its tiny, nanotechnology size means that memristors can store more data than any normal hard drive, and can be accessed as quickly as RAM – the kind of memory computers currently use. That means that in the future computers may be able to store more, start faster and be eco friendly too. Building brains? That would be amazing enough but it turns out that the memistor has another trick up its nano-sleeve. Rather than working in digital mode, saving on/off (1,0) data like normal computer components, it can also hold values in between! The values it holds change every time the memristor receives an electrical signal, which is exactly what happens in the neurones of our brain as we learn. In the future networks of memristors could mimic the way our brains work, storing the things they learned from their electronic experiences. That would open up the possibility of a compact, low power way to build artificial intelligences. Not bad for a humble little addition to the family of electronic components. See what you can miss is you don’t pay attention!